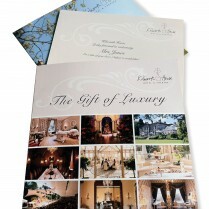 Kilworth House offers a variety of choices for gift vouchers. Vouchers from £5 – £50 may be used throughout the theatre and hotel so the lucky person receiving the gift can use the vouchers to buy theatre tickets, pre-theatre dinners or best of all one our wonderful theatre breaks. 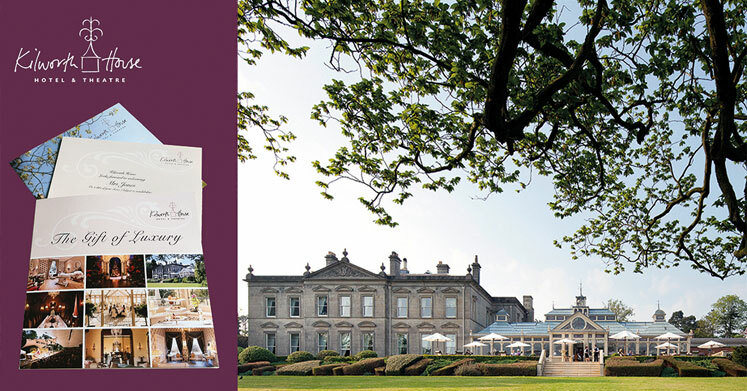 We also offer a bespoke voucher service giving a personal feel, presenting the gift in a presentation folder alongside brochures of the hotel and the theatre guide. So whether the gift is for a visit to our theatre, a health and beauty treatment, our renowned afternoon tea or a meal in one of our restaurants you may be assured it will always be well received. Gift vouchers are not available to purchase online. 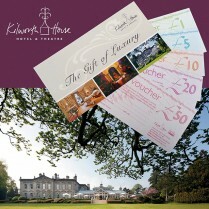 Gift vouchers are only available to purchase in person at Kilworth House Hotel or by telephone on 01858 880058. Once payment has been made gift vouchers cannot be cancelled or refunded. If ordered by telephone gift vouchers will be posted by recorded delivery within 24 hours. All vouchers are valid for one year from the date of purchase.